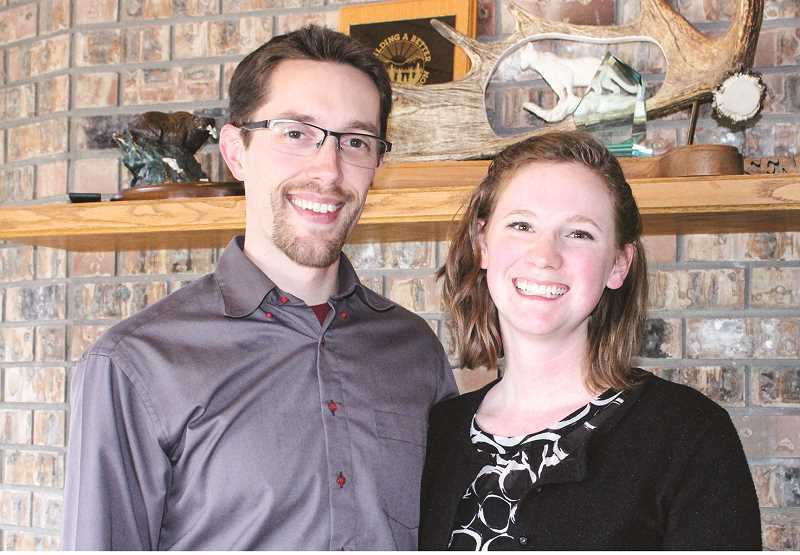 Prineville dentist James Petersen knows first-hand the saying "What you seek is seeking you." He proved the truth of the wise adage recently when he sold his 41-year-old dental practice to Dr. David Bass. "I had had several offers to retire and to sell, but in every case, it just wasn't a fit," Petersen said. His advisors had heard about this young, new doctor who was considering purchasing a practice. "They put the two of us together, and we had a meeting, and then it was like a snowball running downhill — it went real quick," Petersen said. "David and I were one another's first choice." 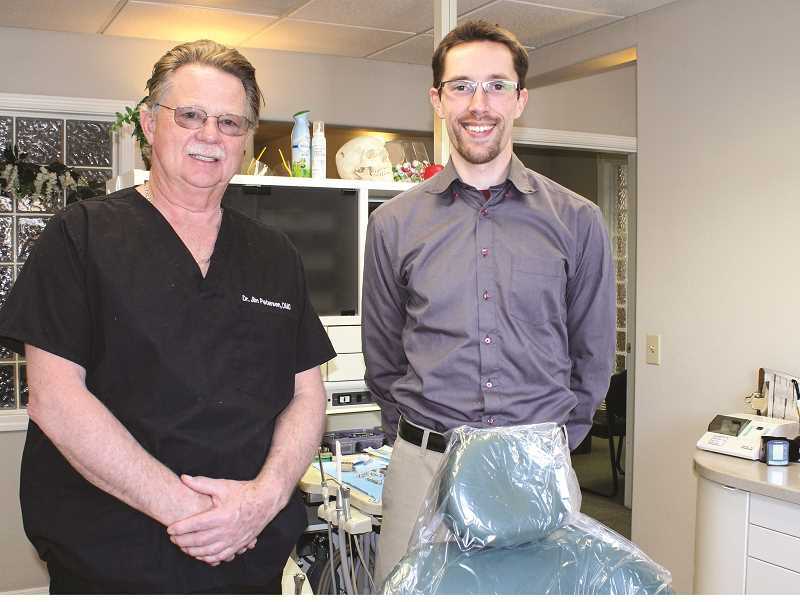 Bass finalized the purchase of Petersen's Family Dental Clinic and began practicing Feb. 15, keeping the same eight-member staff but changing the business name to Cascade View General and Family Dentistry. "There's no such thing as an easy transition, but this has been as smooth as it could have been. I've been very pleased," Bass said. Petersen still works one day a week for Bass, seeing some of his long-time patients and more complex cases, in order to help with the transition. Petersen grew up along the Oregon coast, but his father was from Burns and his mother from Stanfield, which is near Hermiston. "We'd spent some time on this side of the mountain," he recalls of his younger days. He went to school in Corvallis and then went to dental school at the University of Oregon Health Science Center, graduating in 1978. "I was ready to get out of the weather pattern over there," Petersen said of the Willamette Valley. "I spent a lot of time over here, hunting and fishing as a youth. There was an opportunity, so I came here." In the summer of 1978, he opened his first — and only — dental practice in Prineville. In 1985, he moved his office to the corner of Northeast Fairview and Northeast Third streets, where it is today. In 1990, Petersen's wife, Peg, began working in the office. She had worked for a dentist in high school and eventually was a dental assistant. She is retiring from her office manager position but is helping with the transition. Petersen worked as a general dentist but over the years expanded his general practice to include IV sedation, implant dentistry, and even hospital dentistry, where he would treat medically compromised and pediatric patients from around Central Oregon. "I have enjoyed all phases of it," Petersen says of his practice. "It's getting to know the people, being a part of the community, and the relationship and the trust factors that you develop." He always had between five and eight employees and had an associate dentist at one point. "I haven't needed to work this long, I just chose to do so because I enjoy it," Petersen said of his nearly 41 years in practice. "It's going to be a tough transition for me, not being here every day, not being in control. It's a big change, but I went to an awful lot of effort to select the replacement." But, he points out, Bass was by far the best choice. "I have looked at the possibility of how to make this work, and this was the best answer for patients, staff and for David and myself. I think I did a good job of selecting a good replacement." In mid-February, Bass began taking over the general day-to-day operations of the practice, and Petersen became Bass' employee. Petersen doesn't know how long he'll continue to work one day a week at his former practice. "I checked my barcode, and I'm not sure of the expiration date," he chuckled. With more time on his hands, Petersen will work with his horses, his property and his new puppy. His son and granddaughter might get more visits as well. "I'm sure I will not be sitting. I'm going to be doing lots of things, I don't know what they're going to be, but I have lots of hobbies and lots of chores," he said. The Petersens say they are happy to have a young dentist full of new energy take over their business. Bass and his wife, Emily, are thrilled to be in a small town, where they will raise their three young children. Bass grew up in Tualatin south of Portland and went to undergrad in Brigham Young University in Utah. He graduated from dental school at Oregon Health and Sciences University in Portland in 2014. Although dentistry does not require a residency, Bass chose to do one and worked at a public health facility in Central Washington for a year. He liked the area and ended up staying on for another three years. Last summer, he switched to private dentistry and worked in Pullman, Washington. "I found out that I liked private dentistry, but I didn't like where I was, so started looking and through a very long and fortuitous set of circumstances, found this place," Bass said, noting that the move to Prineville also makes him closer to his family in the Willamette Valley. Not only did he like the Central Oregon region, he said Petersen and the team share the same philosophy. "He and I have a lot of similar opinions and philosophies in how dentistry is or ought to be done," Bass said. "That was very attractive to me, to know that I could move into a team and move into a situation that I wouldn't have to take a sledge hammer to the practice philosophies. In fact, I've had to make very few (changes)." Bass' wife will work a couple days a week in the office. She said they were in a small town for a few years and loved it. "We're glad to be back in a small town and be a part of the community, and our son is already loving his school," she said. "Everything fell into place. I feel very blessed to be here," Bass said. "If people were happy with Dr. Petersen and how he treated his patients, I think they'll be pleased."